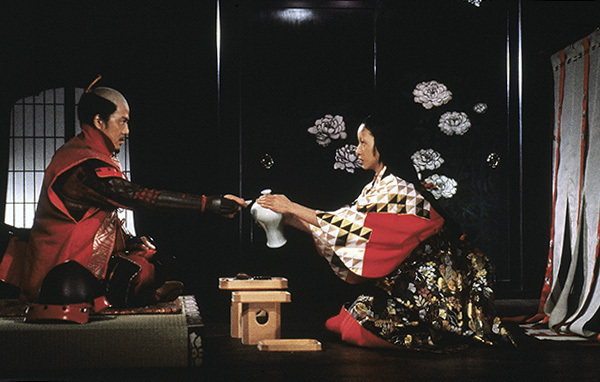 In 1985, the Japanese director turned for inspiration to the work of the great English playwright for the second time by adapting King Lear in what was to be one of his last films. Here are four good reasons for rediscovering in its restored version Ran (1985), a cinematic masterpiece set in the heart of feudal Japan dealing with the pitiless internecine struggle between a clan chieftain and his three sons. In a feudal Japan wracked by inter-clan warfare, the warlord Hidetora Ichimonji decides to hand over his power to his three sons. Fearing that this decision will lead to the downfall of all three siblings, the youngest son, Saburo, does his best to fend off the disaster. As was the case with Sergio Leone, who adapted the Japanese director's 20th film (Yojimbo, 1961) to create A Fistful of Dollars, Akira Kurosawa inspired many other filmmakers. Notably Clint Eastwood, who showed his debt to Kurosawa in his exploration of complex issues and espousal of humanist values in Letters from Iwo Jima and Mystic River. And it was the story of The Hidden Fortress (1958) that laid the seeds for the concept of Star Wars in the imagination of the young Georges Lucas. It took two years to create the hundreds of costumes used in the film. Ran in fact won an Oscar for its costumes in 1986. With an estimated duration of 3h 30m in its initial version, the action of the film was finally reduced by Akira Kurosawa to 2h 35m at the request of Serge Silberman, the co-producer of Ran. In total, the great Japanese director's 27th feature film cost eleven million dollars, making it his most expensive work.